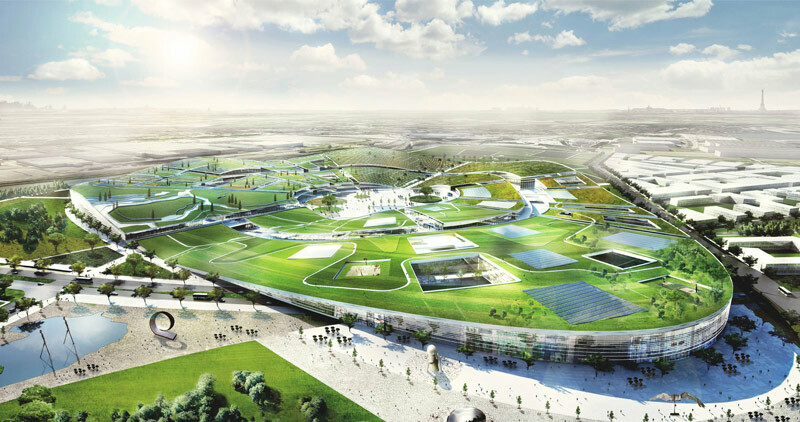 A master plan with a scale typical to the massive developments in China, BIG Architects has won the international competition to design Europa City. Located in the Greater Roissy, the new Triangle Gonesse district, is a unique suburb of Paris, France. The metropolis will mix cultural, recreational and commercial on 80 acres, to form an exchange of leisure and commercial activities. The plan has been designed to meet the needs of a European culture and lifestyle. This territory was chosen because of its great potential, as one of the main economic centers, characterized by a young population. The project aims to triple support the economic development, opening the territory to external audiences, and bring new inhabitants to the territory. 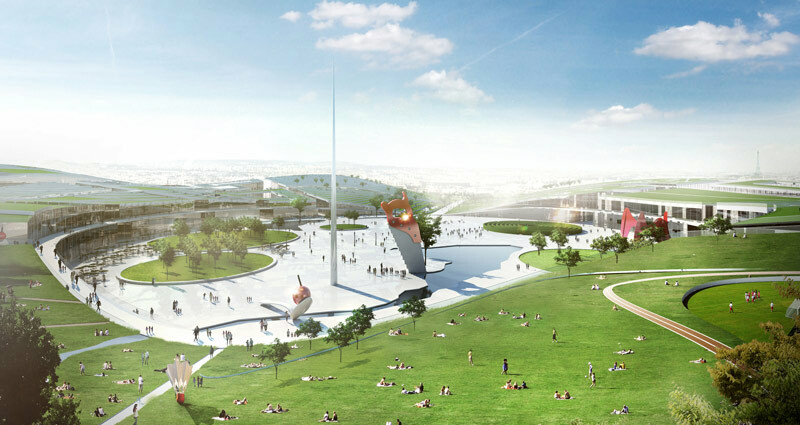 It will be served by the Grand automated metro Paris Express and extension of the RER D (rapid transit system). a main road that focuses around the central square, inviting those to discovery EuropaCity. 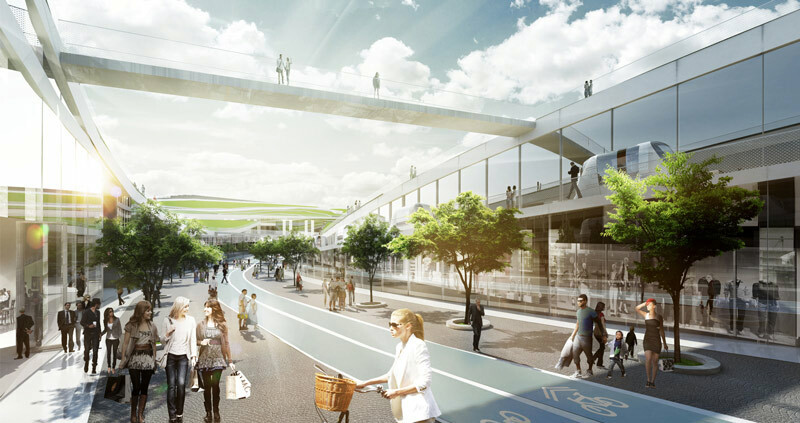 The project includes several urban expressions to diversify the public spaces such as a park, the circular boulevard, accessible modes of transport, places designed to accommodate event-activities, the streets are inspired by the Parisian walkways. 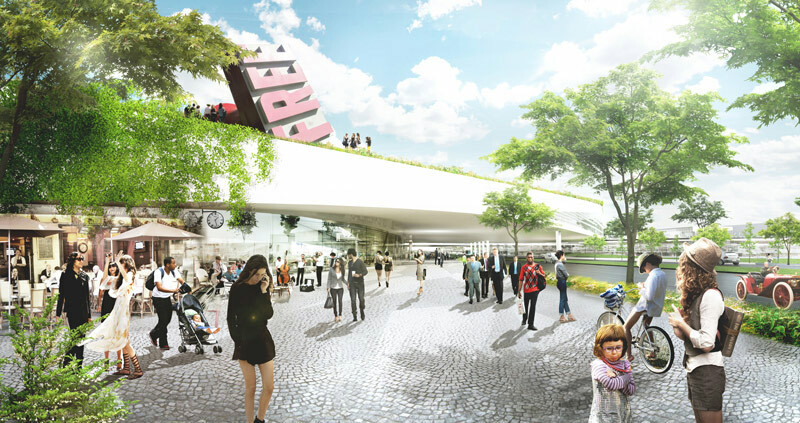 The multifunctional roof is symbolic of the importance given to public space and nature in the project. It is designed in synergy with activity spaces it houses, such as, entertainment, shopping, culture, restaurants, hotels. The overall geometry is determined based on the site’s connections and constraints specific to the territory. To the north, the station of the Grand Paris Express, and the A1 and A3 motorways, to the south, the RD370 service. From its center, Europa City stretches to as close as possible to each of these structural elements. 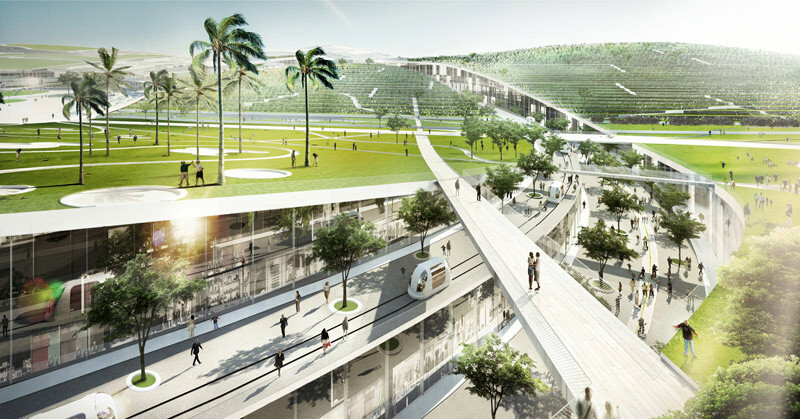 Its volume is carved to fit the context urban and landscape by providing visual identifications. 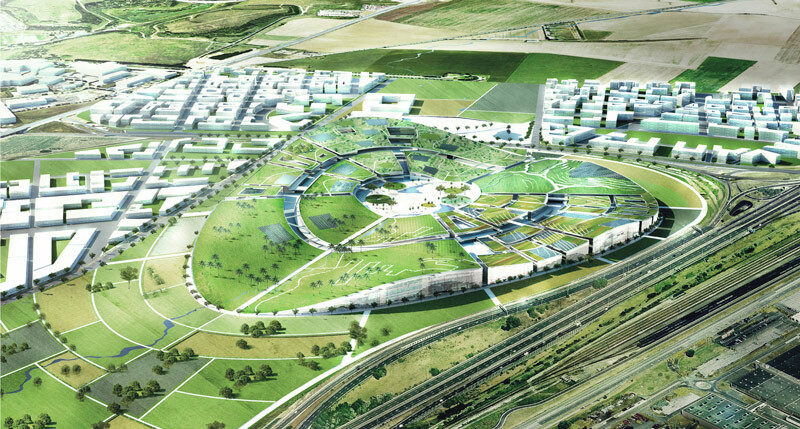 The roof, largely vegetated generates a large green open space, extending the green corridor that runs through the Triangle Gonesse.